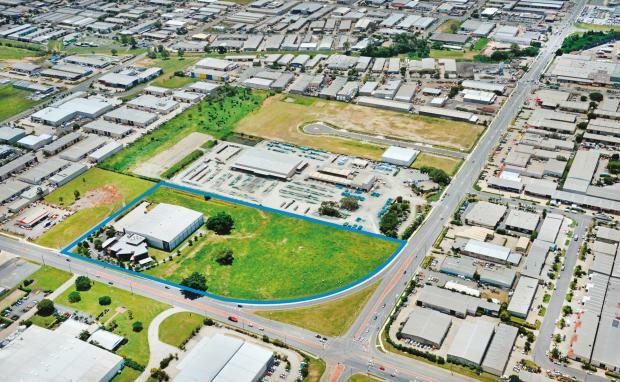 Altis Property Partners have spent $16.2 million acquiring a 50,000 sqm site on South Pine Road in Brendale, with plans to develop a home and trade retail precinct worth $50 million. The purchase was underpinned by an existing 5,500 sqm high quality warehousing facility which is fully leased to The Crest Company on a 10 year term returning $850,000 per annum plus GST. Anthony White and Brian Riches of Colliers International negotiated the sale of the site and are now in the process of marketing the precinct for lease to multiple users. Mr White said this is one of the largest transactions on the Brisbane northside so far this year. “We ran an expression of interest campaign and received very strong interest from buyers across Australia. After some brief negotiations upon the close of the campaign, Altis Property was successful. "Mr White added that Altis Property intends to develop the remaining 37,000 sqm high profile corner site to cater for a range of uses in the home and trade retail sectors. “With the recent road upgrades the site has become a gateway into the Brendale precinct and Altis Property expects to receive substantial interest from tenants as a result. “Having a development opportunity underpinned by a substantial 10 year investment commitment made this an ideal value add play for a group such as Altis,” said Mr White. According to Mr Riches, Brendale has come into focus as being a key economic precinct with the recent commitments of Aldi, Super Retail Group, Bunnings and Masters to major logistics and large format facilities. “Altis are planning an exciting new development. This is the most prominent location in the area that is yet to be developed. We believe what Altis have in mind will set a new standard for Brendale. “Colliers International is excited to be involved in securing tenants for the development and we believe that interest is likely to be strong due to its great location and the type of development on offer.